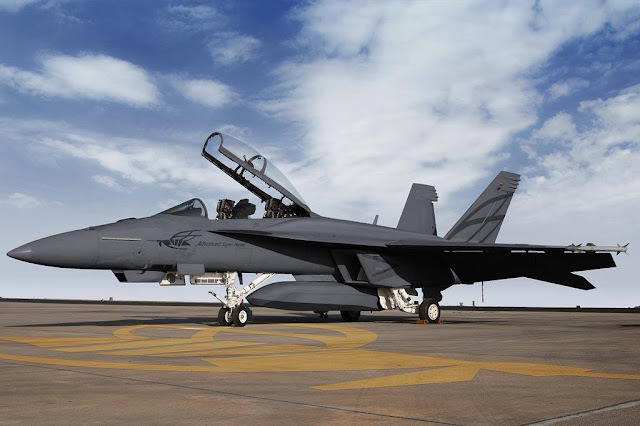 BEST FIGHTER FOR CANADA: Super Hornet: What's the buzz? When issues with Canada's stalled F-35 started to arise, the F/A-18E/F Super Hornet was seen by many as the only realistic alternative. For whatever reason, the "Eurocanards" (i.e. Typhoon, Rafale, and Gripen) were dismissed. It seemed inconceivable that the RCAF would procure anything other than an American fighter. Being a "Super" version of what Canada already has, the F/A-18E/F would seem to be a sensible choice. Since it used the legacy Hornet as a starting point for its design, converting Canada's fighter fleet to the Super Hornet would likely be a snap. Like the F-35, it will continue to see use with Canada's largest military ally. This means there are no issues with interoperability. Out of all the multi-role fighters vying to replace the CF-18, the Super Hornet is certainly the lowest risk choice... But is it the best? 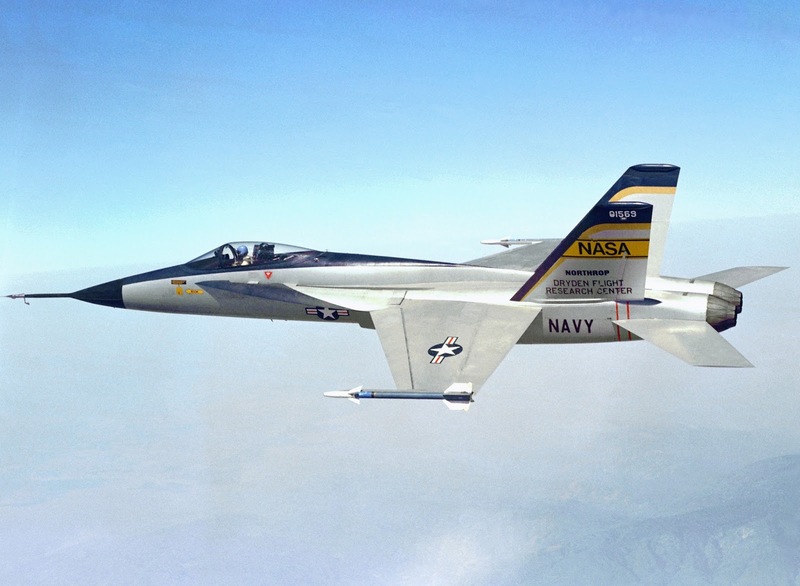 The Super Hornet can trace its design lineage all the way back to the YF-17 Cobra... Possibly even further. While some sources depict the Super Hornet as the successor to the USN's legacy Hornet (F/A-18A, B, C, and D) fleet; this is not actually the case. Instead, the Super Hornet was developed as a low risk replacement for the A-6 Intruder. The A-6's intended replacement, the stealthy A-12 Avenger, was cancelled thanks to cost overruns and delays (sound familiar?). At roughly the same time, the USN's F-14 replacement program, the NATF, was also cancelled. The USN was now faced with replacing two aging aircraft fleets during the time of reduced military spending between the Cold War and the War on Terror. Capable of handling much heavier payloads, the Super Hornet was deemed "good enough" to replace not only the A-6 Intruder, but the F-14 Tomcat as well. 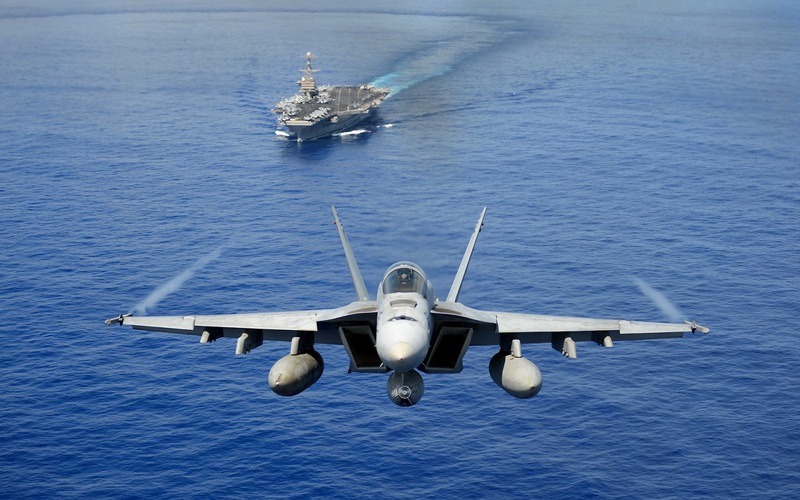 An electronic warfare variant the EA-18G Growler was developed to replace the EA-6B Prowler. Despite the Super Hornet's flexibility and popularity with the USN, it has found few export customers. Thus far, only the USN and the RAAF have acquired the planes. Other nations, like Kuwait, are interested, but with fairly small orders. While part of the Super Hornet's appeal has been its simplicity, that does not mean it is out of date. It has undergone continuous upgrades and updates over the years. In current "Block II" form, the Rhino incorporates a somewhat trouble-prone AN/APG-79 AESA radar and belly tank-mounted IRST. For electronic warfare missions, there is the EA-18G Growler. This version of the Rhino swaps out the internal cannon and wingtip AIM-9 rails for receivers and jamming equipment. The Growler also mounts the ALQ-99 jamming pods. This adds up to make the Growler the quintessential electronic warfare platform. 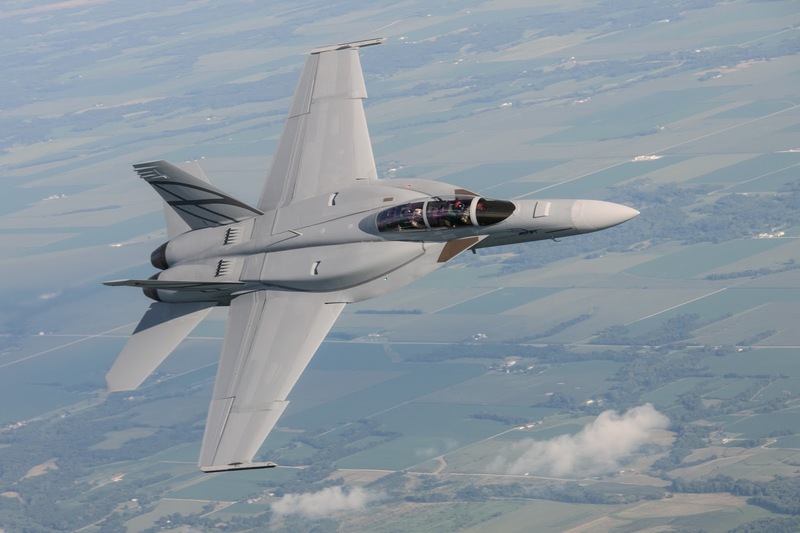 Boeing hopes to breath new life into the Super Hornet with its "Block 3" version. New features include upgraded engines, a modernized cockpit (as seen above), conformal fuel tanks, built in IRST, and enclosed weapon pods. 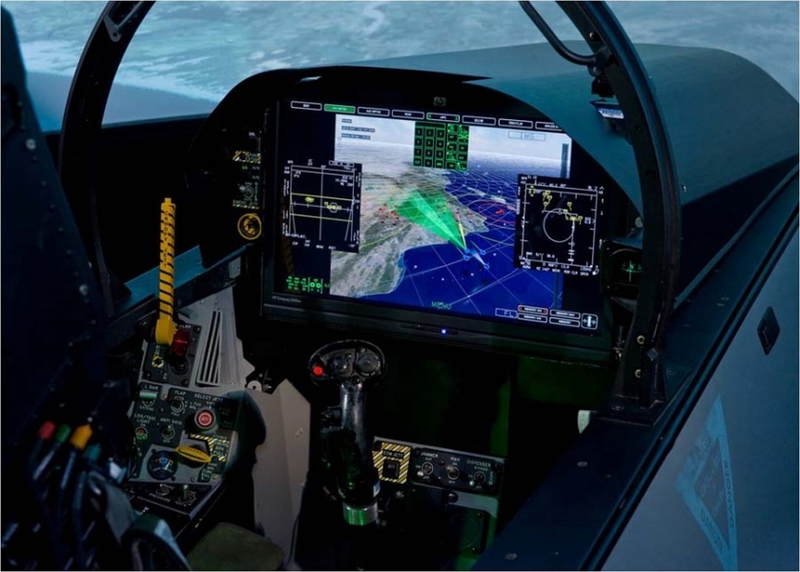 This new "Advanced Super Hornet" promises to blur the line even further between it and its 5th generation counterparts. As would be expected for an aircraft that is essentially an "up-sized" version of the CF-18, the Super Hornet performs rather similar to its older brother. While the smaller legacy Hornet has a slight advantage in WVR combat, the difference is mostly academic given the Super Hornet's other advantages. The Super Hornet's performance data does seem underwhelming when compared to the Eurocanards. Top speed of mach 1.8 and a design limit of 7.6g does not quite match the supercruising competition. While it certainly is no slouch, there are certainly better performing aircraft out there. 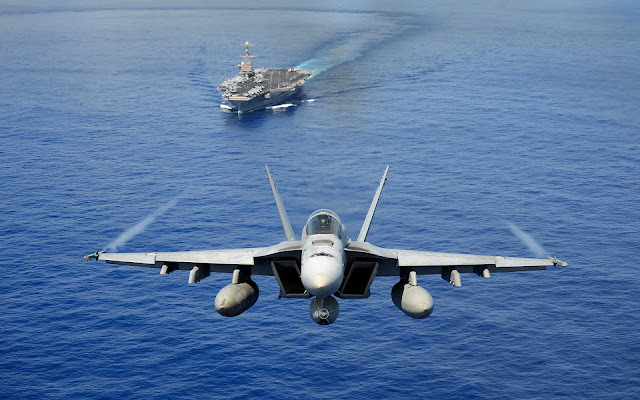 Able to fulfill multiple roles, the Super Hornet can best be describes as the workhorse of the USN. It is no surprise then that the Rhino utilizes a significant portion of the US military's airborne arsenal. If an American-made missile or bomb can be loaded on to a fighter, there is a pretty good chance the Super Hornet mounts it. For counter-air, the F/A-18E/F typically mounts the AIM-9 Sidewinder and AIM-120 AMRAAM. For strike missions, the Rhino carries anything from the 250lb SDB (small diameter bomb) up to the 340 kiloton B61 nuclear bomb. 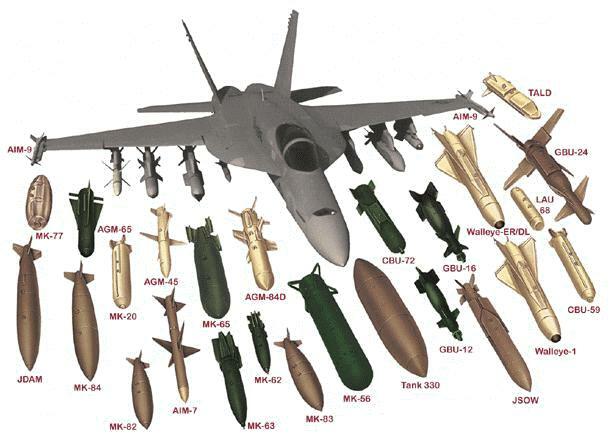 Their is also the option of mounting air-to-ground guided missiles like the venerable AGM-65 Maverick, AGM-88 HARM anti-radar missile, AGM-158 JASSM cruise missile, and others. Is is right for Canada? For over thirty years, the CF-18s versatility has made it an excellent fit for the RCAF. It is understandable why people would simply want "more of the same". It is akin to trading in your aging four-door sedan for a newer model of the same make and model. A safe choice. There are a few caveats regarding the Super Hornet, however. 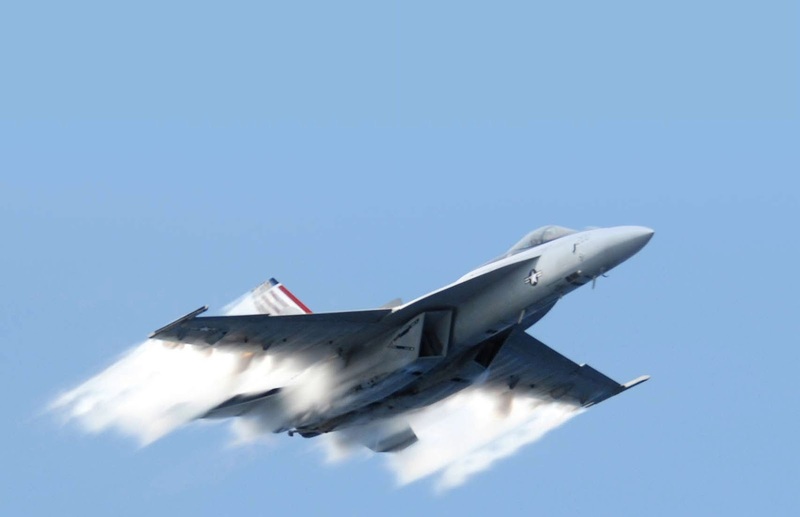 While the Super Hornet itself is a twenty-year-old aircraft, its basic design is over twice that age. It lacks the raw performance of contemporaries like the Typhoon while also lacking in the stealthy capabilities of the F-35. While the USN plans to maintain its Super Hornet fleet well into the foreseeable future, it will soon play second fiddle to the F-35C. Therein lays the Super Hornet's achilles' heel. Both of its current operators (the USN and RAAF) are fully committed to the JSF program. As such, funding for future upgrades will likely favor the F-35. If Canada purchases the Super Hornet as its sole fighter jet, they could risk becoming obsolete if we do not fund those upgrades ourselves. This past spring, a story "leaked" that the Federal Government was set to acquire "interim" Super Hornets. This quickly disappeared after the Liberal government was accused of reneging on their campaign promise to conduct a fair and open fighter competition. Since then, an "Industry Consultation Questionnaire" has been released, with all five fighter manufacturers responding. Whether this questionnaire is prelude to a full competition or window dressing to support a sole-source acquisition remains to be seen. At this point, the Super Hornet is likely tied with the F-35 as the most likely CF-18 replacement. The JSF still has an immense political and industrial push behind it. Recent success stories and also help boost the F-35's chances. There are also the harsh cancellation penalties reminiscent of the regrettable EH101 debacle. While the Super Hornet may be favorite at this point, it is far from a "sure thing".